“Moving out to a new city with the family was difficult, but we have to do it for Aftab. He seems to look fine but he is dying inside. If the block in his valve is not removed, blood might flow backward to the heart and prevent the blood flow to other organs. My relatives refuse to help me, because nobody understands how critical his condition is. We are not educated. I can't bear to think that death is close to him. He might die any moment without a heart surgery." - Umar, Father. 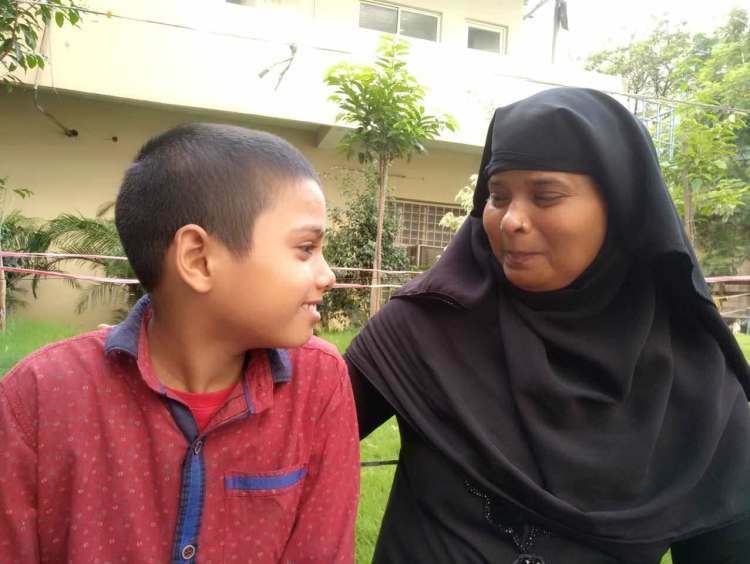 Umar and Shahnaz had their happy family in a small village in UP. 6 years ago, Umar moved to Hyderabad to support his family better. In UP, he used to work in farms where he could barely earn Rs 100 per day. In Hyderabad, he works as a parcel carrier and manages to earn Rs 200 per day. Although Umar had been in Hyderabad, Shahnaz and his twin sons Aftab and Mehtab were managing their lives in UP. The two of them went to school and were living a normal life like any other children of their age. The kids who were once inseparable are now forced to spend different lives. 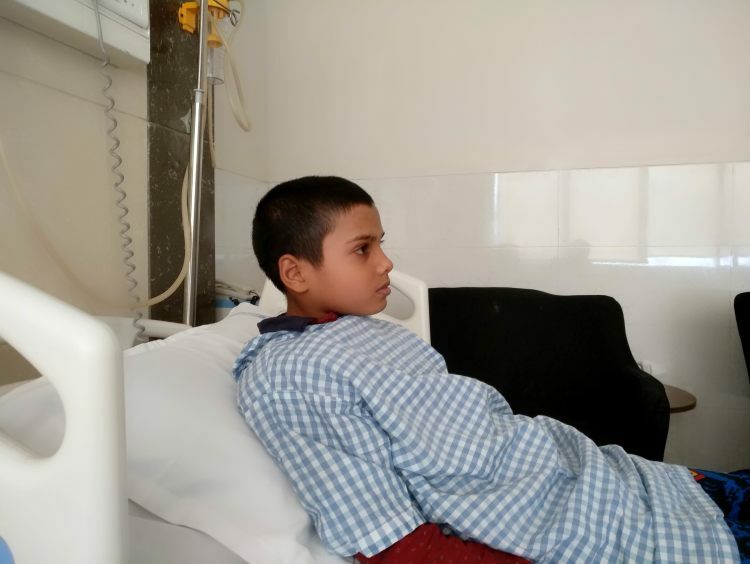 While Mehtab continues to live a normal life, for Aftab it’s only a distant dream to do things his brother does. 1 month ago, Umar observed that Aftab was sweating all the time regardless of the temperature. When he was taken to the doctor the father couldn’t believe what he heard. 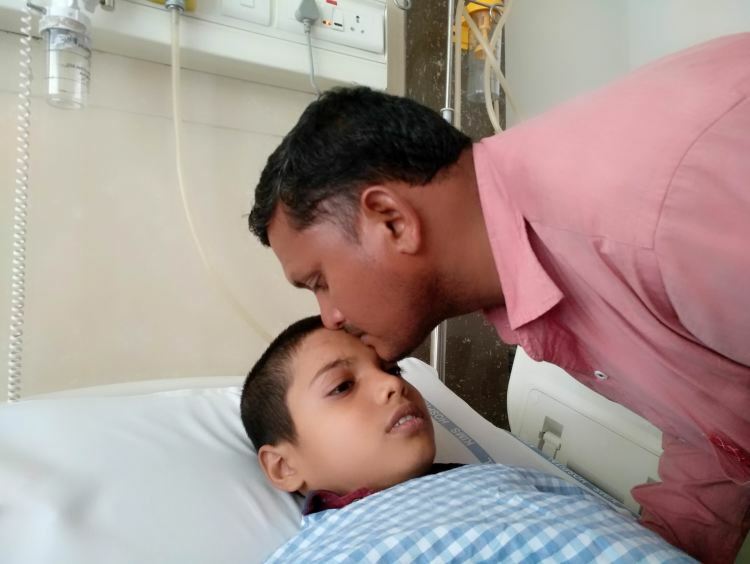 Although the child has barely any symptoms of his failing heart, from within he is dying gradually. Initially, even the parents failed to understand the crux of the ailment. The problem for Aftab is his health is highly unpredictable. One moment he can be fine and the other moment, he can simply stop responding. If the heart surgery is not done urgently, he might just collapse and lose his life any moment. Umar has to struggle even more with Aftab because Shahnaz is too sick to take care of their son. Shahnaz is a housewife and has severe liver problems. To add on, she has recently been operated for gallbladder stones. She can hardly do any work, let alone taking extra pressure. 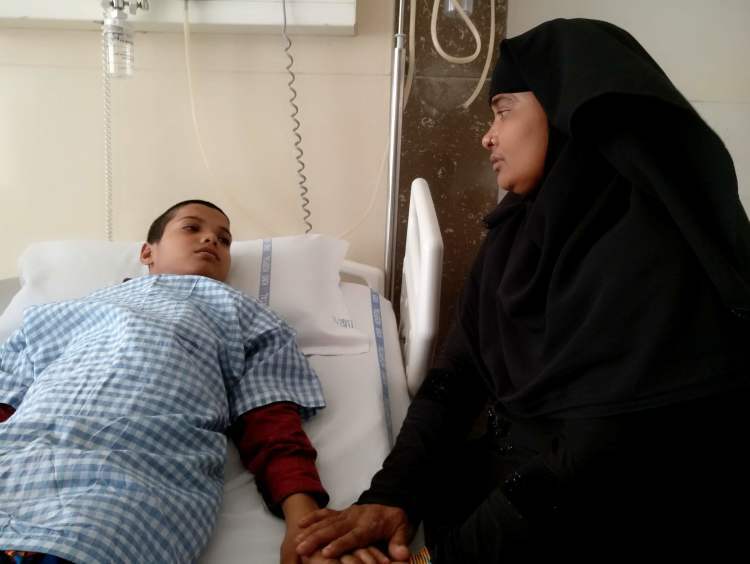 Shahnaz has also been slipping into mild depression because she can’t believe that as a mother she can’t even take care of her son. She knows he is sick but I have not told her how serious his condition is. It was very difficult for Umar when he had to leave UP. He could hardly get work there and the family struggled to even afford 2 square meals a day. After he moved to Hyderabad, he managed to afford food for his family. Yet, affording such a surgery for his son is far-fetched. 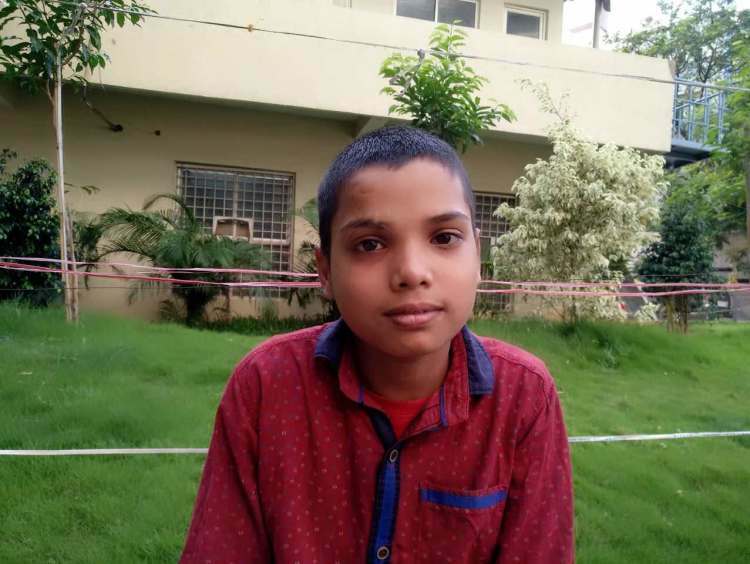 "I was forced to move my entire family here to Hyderabad for the treatment. They are having a hard time adjusting to the new city. Mehtab even had to drop out of school because we cannot afford the fee. Nobody says it out loud, but we all sit and cry in our corners when people are not watching." 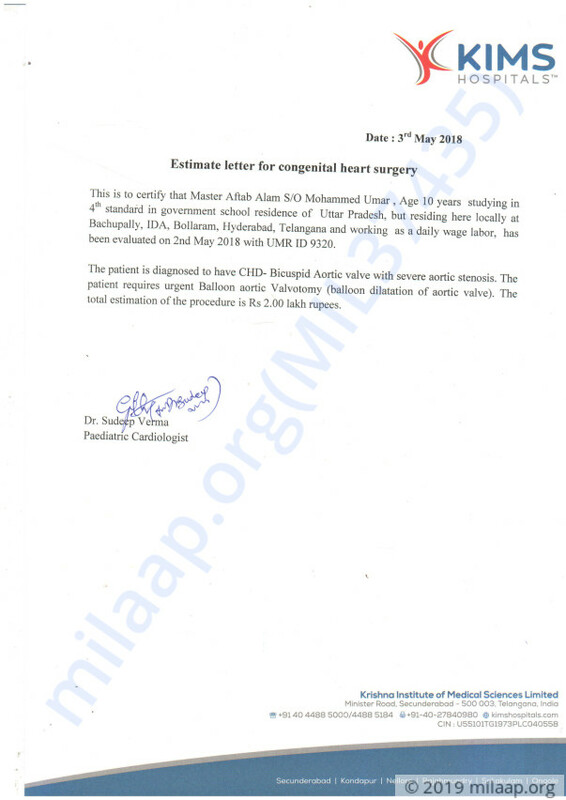 Aftab’s failing heart is silently killing him. 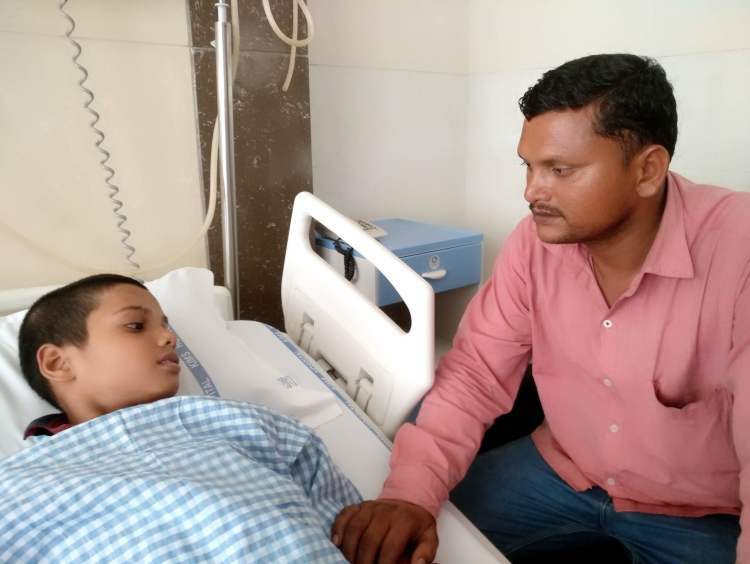 His father Umar has exhausted all funds to save his son. His family has denied help as they are ignorant about this disease. 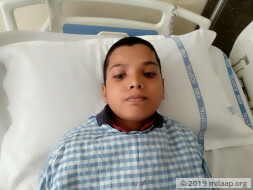 The cost required for his surgery is Rs 2 lakhs and without help, Aftab will not make it. Thank you everyone for you love and support. It gives us immense pleasure in informing you all that Aftab successfully underwent the surgery and has been discharged now. He's doing well and is active. The doctors have prescribed medicines and he will continue to be on medication until advised otherwise. Also, there will be regular follow ups with the doctor so they can monitor his health closely and check for any irregularities. We are all hopeful about his recovery. Please keep praying for him. Thank you once again!